The Dublin Bay project is an integrated scheme to provide for the collection and treatment of wastewater from the entire Dublin City urban drainage catchments. The area through which the new sewer system was to be installed is a densely populated area with many congested arterial routes running from the suburbs to Dublin City Centre. In addition, a number of high use facilities such as supermarkets, schools and a golf course were directly in the path of the new sewer meaning traditional open cut works were going to cause great disruption and inconvenience to the local community to whom these works were of vital importance. 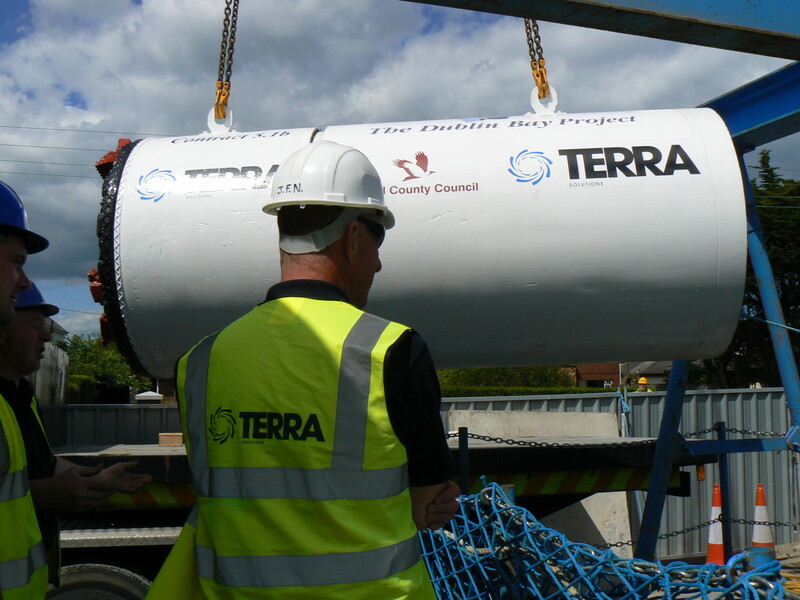 Terra Solutions in Joint Venture with SIAC Construction installed 15 smoothbore caisson shafts in diameters of 2.4m to 6m as launch and reception pits. We then installed 1.2km of tunnelled gravity sewer using Herrenknecht AVN600 and AVN1000 microtunnelling machines. As the chosen sewer routes ran directly beneath the Howth Road, Sutton Golf Course and residential gardens a number of preventative measures such as dust and vibration monitoring were put in place. In addition, regular consultations between Terra technical teams and local residents ensured we were able to respond effectively to their concerns and keep the project running successfully. The trenchless aspect of the project for which Terra Solutions had responsibility was completed 3 months ahead of schedule despite delays due to varying ground conditions. Our proactive approach and effective management systems ensured that any issues that arose were dealt with quickly and efficiently, enabling us to continue tunnelling with the absolute minimum impact to the overall project schedule.